Sometimes when you have created a new employee and shared them across to other locations, their PIN doesn't work when they try to clock in on the Timestation. 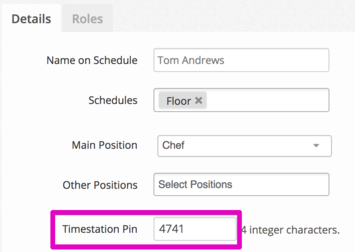 As this employee is new, there will need to be action on the Timestation (an employee clocking in/out) in the shared locations before their first clock in for their PIN to work. The employee will need to have a PIN number entered into their employee profile in each location. This can be the same PIN, once it hasn't been taken by another employee in that location. If the employee is still having issues clocking in/out, please contact Bizimply on Support@Bizimply.com.